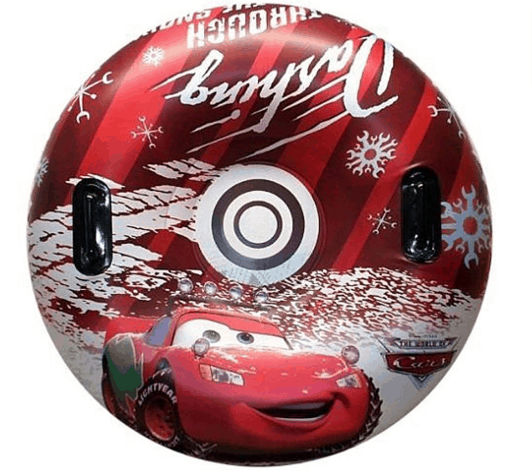 Disney's Cars Inflatable Snow Tube ONLY $8.99 + FREE Shipping (WAS $50)! You are here: Home / Great Deals / Disney’s Cars Inflatable Snow Tube ONLY $8.99 + FREE Shipping (WAS $50)! Disney’s Cars Inflatable Snow Tube ONLY $8.99 + FREE Shipping (WAS $50)! If your kids have been wanting one of these to play in the snow, be sure to check out this deal! You can currently snag this Disney’s Cars Inflatable Snow Tube for ONLY $8.99 + FREE Shipping (WAS $50)!